Are you in Newcastle? Can you get to Newcastle? Maybe you own a helicopter or know how to drive a submarine. Perhaps you know of the secret Tunnel that Goes Wherever You Like (I find this one particularly handy.) If you enjoy books and aren’t put off by meeting actual authors then you should come along to the town where all the castles are still under warranty. 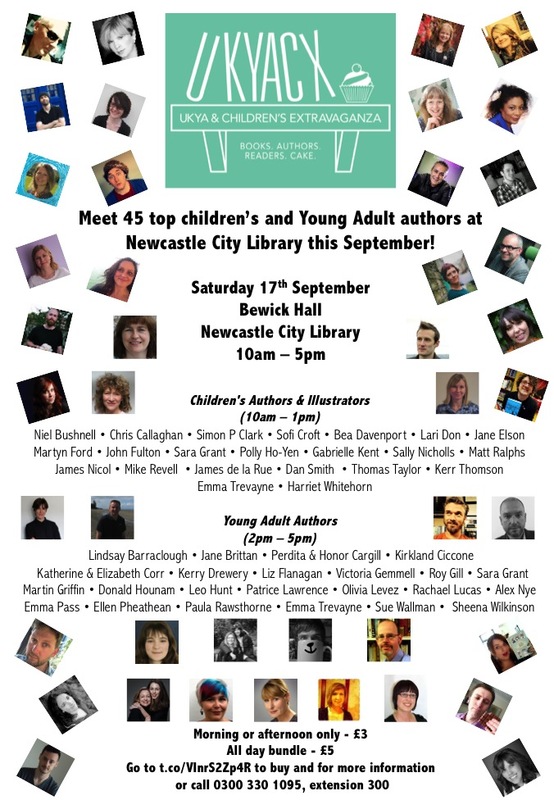 Yes, Newcastle-upon-Tyne is home to this year’s UKYA and Children’s Extravaganza, or UKYACX 2016 as hip cats like me call it. It’s like a beauty pageant, but for authors. Come along, say hello, let me know what you think of my swimsuit. As I anticipated I managed to finish the first draft of Project Nova today. This is my fifth completed novel, which seems weird. It’s just the first draft, so there’s lots still to do, but I’m happy to have gotten this far with it.